The steeple of St. Nicolas' church in Fontvieille reflected in a puddle. 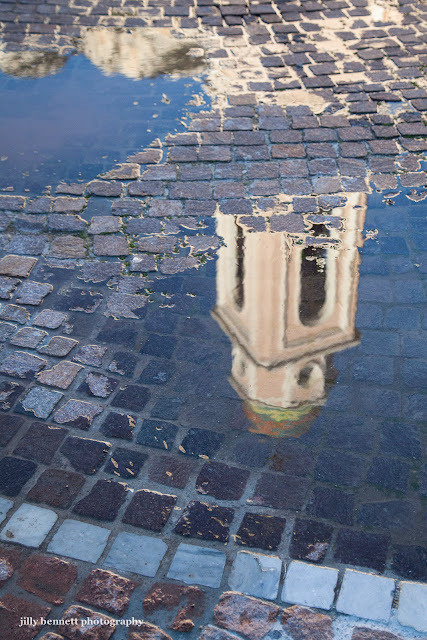 How special that the reflection of the church reflects in the puddle. Wonderful picture! Love this photo! It is great.